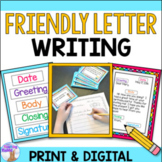 This easy to use checklist will help your students write Friendly Letters. 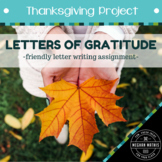 Your students may use it throughout the letter writing process, as they develop this important skill. 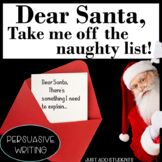 Fun for the season writing paper! 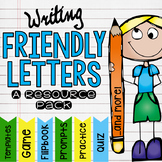 This draft paper has wide-spaced lines and a checklist to support students as they practice writing a friendly letter. Fun for the season writing paper! This draft paper has narrow-spaced lines and a checklist to support students as they practice writing a friendly letter. 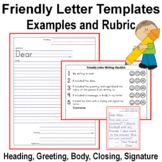 Here is a simple checklist for a friendly letter. 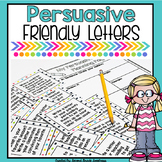 You can use this as a revising aide for friendly letters written by 1-2 graders. Writing a friendly letter? Have your students use this to self edit. A checklist your students can use to ensure they have included all necessary parts of a friendly letter, from the comma in the date, all the way to the signature. 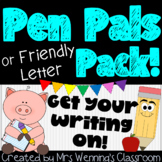 Also included in: 1st Grade Writing Survival Kit! Whole Year Bundle of Resources!